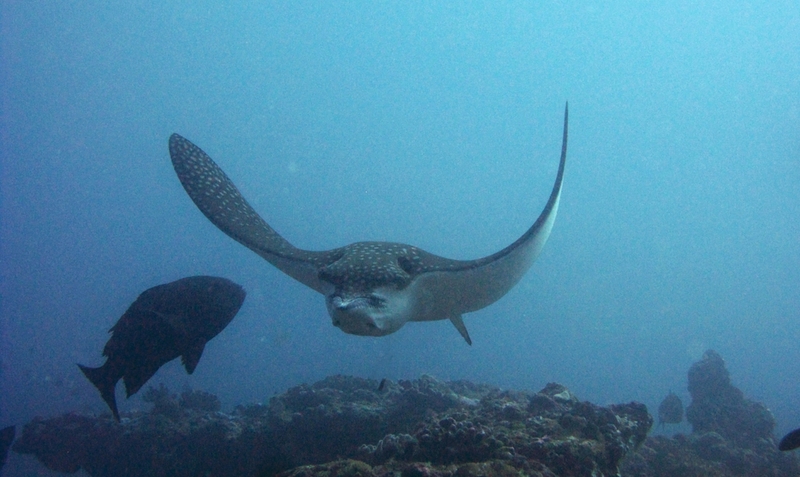 A Spotted eagle ray (Aetobatus narinari) with its piggy face swims towards me at Panettone Kandu. 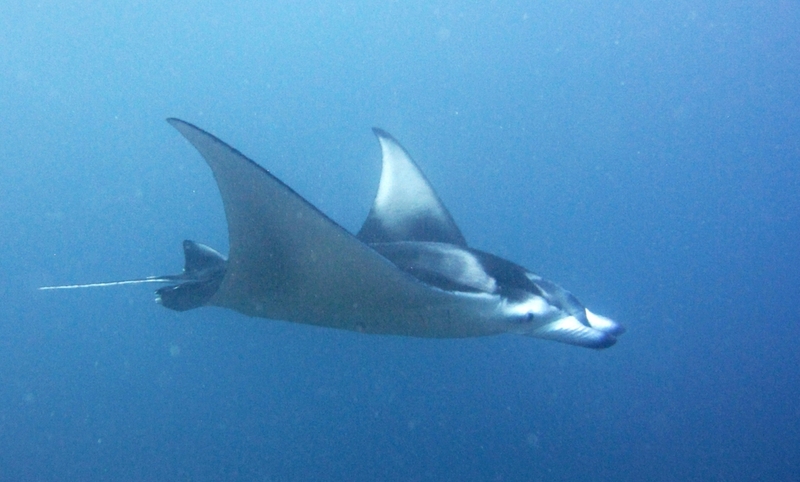 A Resident Reef Manta Ray (Manta alfredi) at Panettone Manta Point. 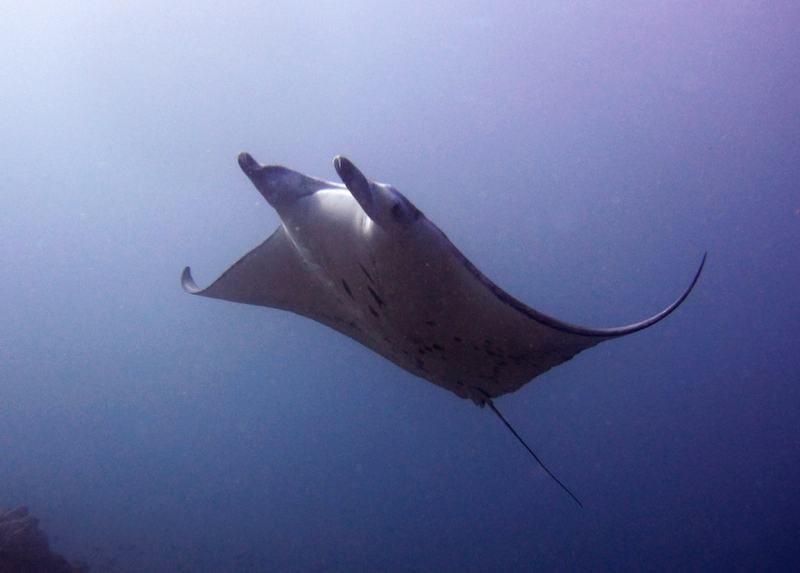 And another one glides serenely past a few minutes later. 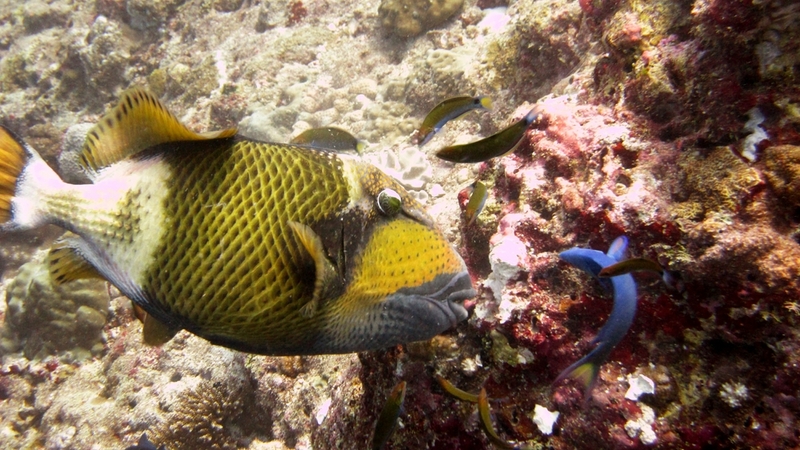 A Titan triggerfish (Balistoides viridescens) savages some coral at Panettone Manta Point. 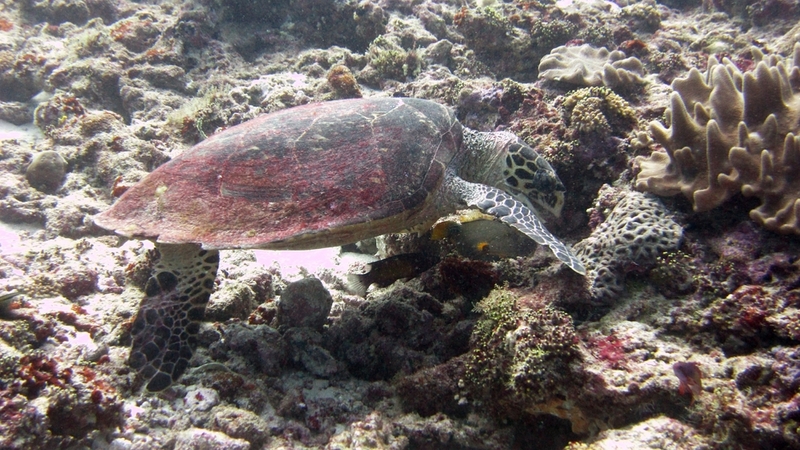 A Hawksbill turtle (Eretmochelys imbricata) munches away at some coral at Panettone Kandu, ignoring me completely. 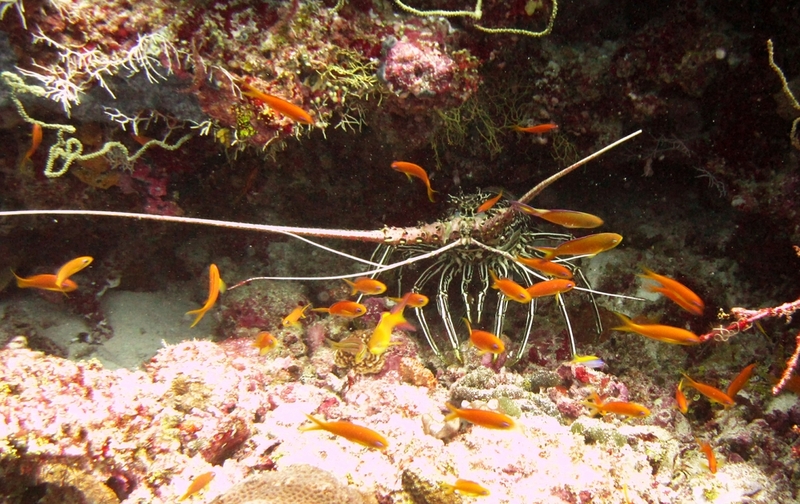 Painted Rock lobster (Panulirus versicolor) hides during the day under an overhang at Moofushi Kandu. 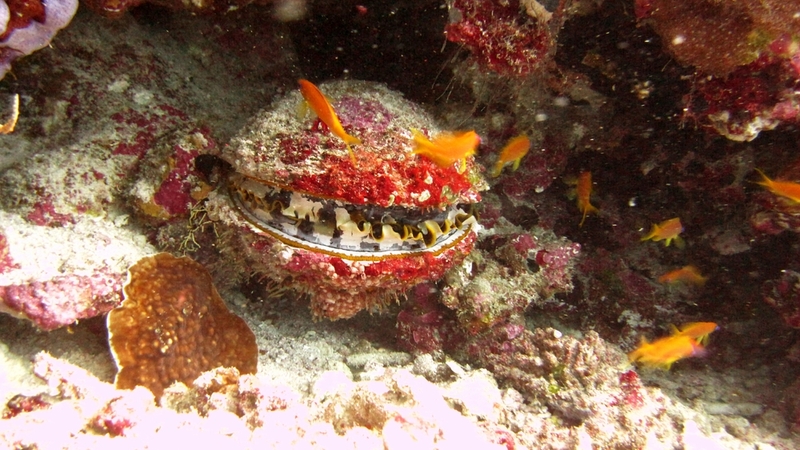 Variable Thorny Oyster (Spondylus varians) at Moofushi Kandu. Now for some Moray eels. 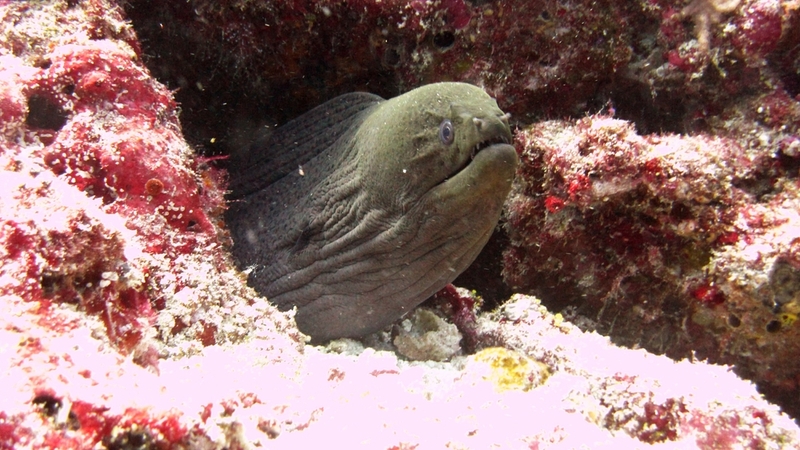 First, the common Giant Moray (Gymnothorax javanicus) glowers at me from its hole at Panettone Kandu. 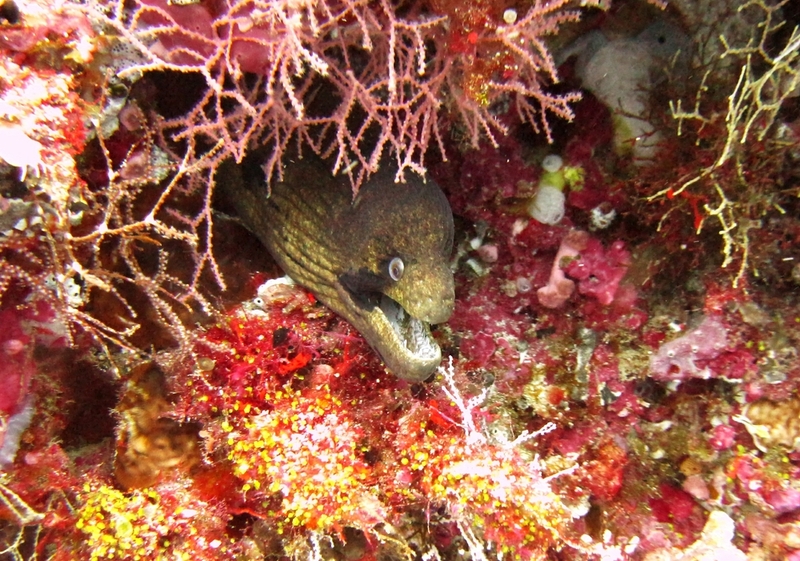 And the less common Black cheeked or Masked Moray (Gymnothorax breedeni) at Rehi Thila. 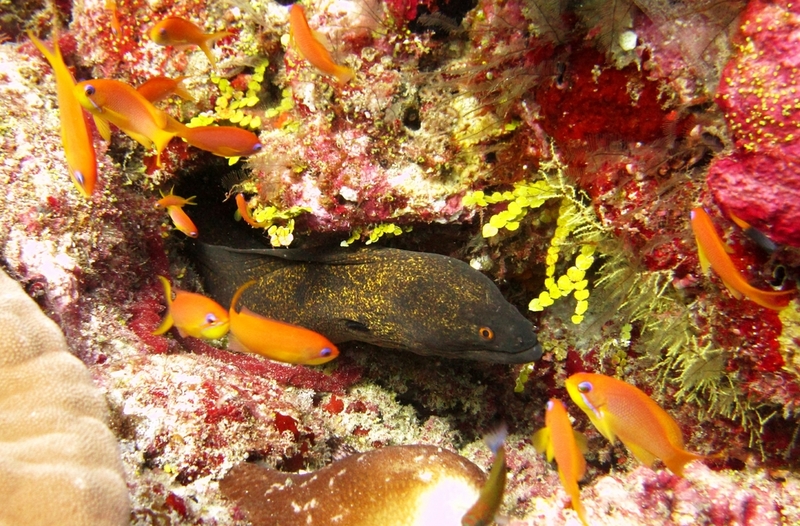 And, less common still, a Yellow-margined Moray (Gymnothorax flavimarginatus) at Panettone Manta Point. 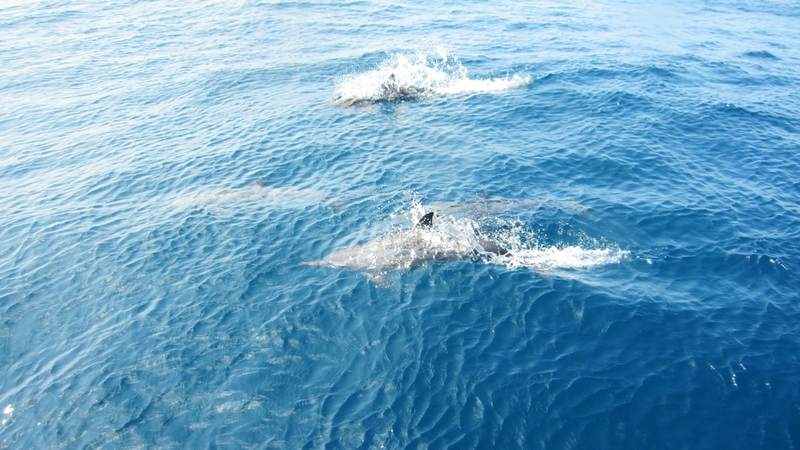 Four of a group of about 50 Spinner dolphins (Stenella longirostris) which joined us on the way back from the Panettone Manta Point dive site. I actually saw several jump out of the water, spinning.